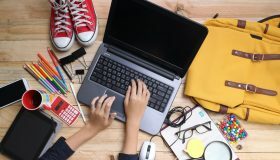 You probably put a lot of time and effort into choosing your computer or the components that are in your computer, so you should also take a little bit of time to find the right desk to put your powerful machine on. Not all desks are boring, so look around to see what you can find. 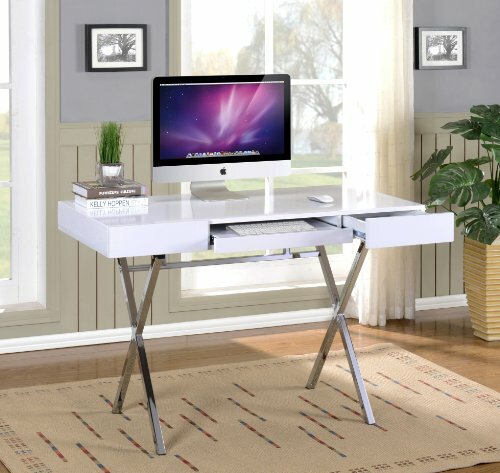 Computer desks come in so many different colors and designs that it can be overwhelming, but if you shop around, you should be able to find something that will make you happy. 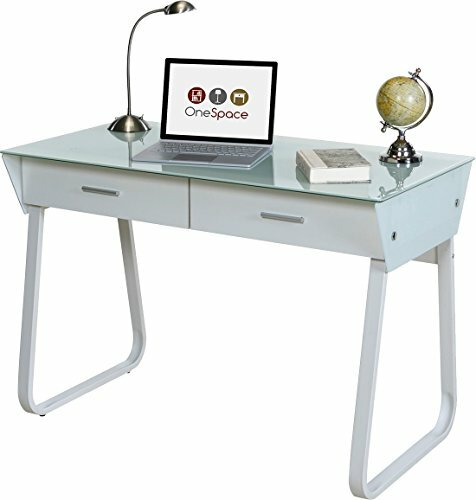 Here are some really awesome computer desks that you may want to look into, to spruce up your home office or gaming room. This desk is shiny and fun. It has a modern design, which consists of silver legs and either a white or black desktop, depending on which one goes best in your home. It looks like a simple desk, but it has a couple of features that make it a really great buy. One feature is the pull out keyboard shelf in the middle, and there are also drawers for storage on the right and left hand sides. Another good thing is that this table is small enough to place pretty much anywhere in your house, where you’ll still be able to get some use out of it. The top of the item doesn’t scratch easily and the fact that it’s glossy also helps where spills are concerned. People that own the product commented on the fact that it looks a lot more expensive than it is, so you may get a lot of compliments on it. It also has a lot of surface space, so you can really put your monitor and all your computer parts on top of it to get down to work. Read more about this this Kings Brand desk here. 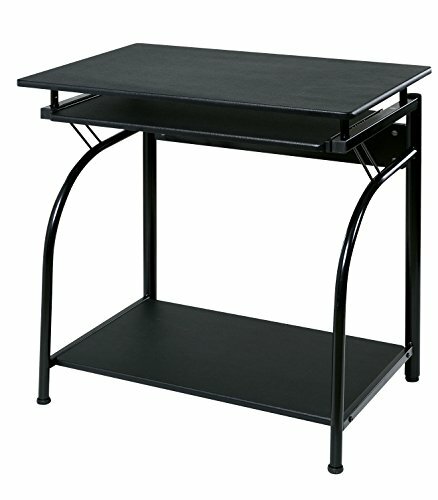 This is another small computer desk that won’t take up a lot of space and will likely remind you of a school desk from when you went to grade school. The only difference is you’ll want to sit at this desk because it looks really cool. It has a frosted glass top and the rest of the desk is made of metal. The metal parts are white and there are two large drawers on the front of the desk for all the most important items you need when you’re working. There is a lot of legroom under the desk and there is also a lot of space for your computer or laptop on top of the desk. It is easy to keep clean and can be set up anywhere. 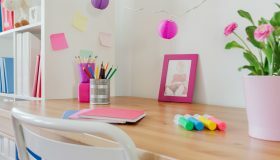 This would even be a great desk for a child or teenager, since it doesn’t need a lot of maintenance and can accommodate different needs you may have. It is sturdy enough to keep from moving around a lot, so don’t expect it to wobble either. The best part is that it isn’t hard to put together and it looks great in pretty much any room. This is another desk that is designed to be able to fit into a corner to save space. 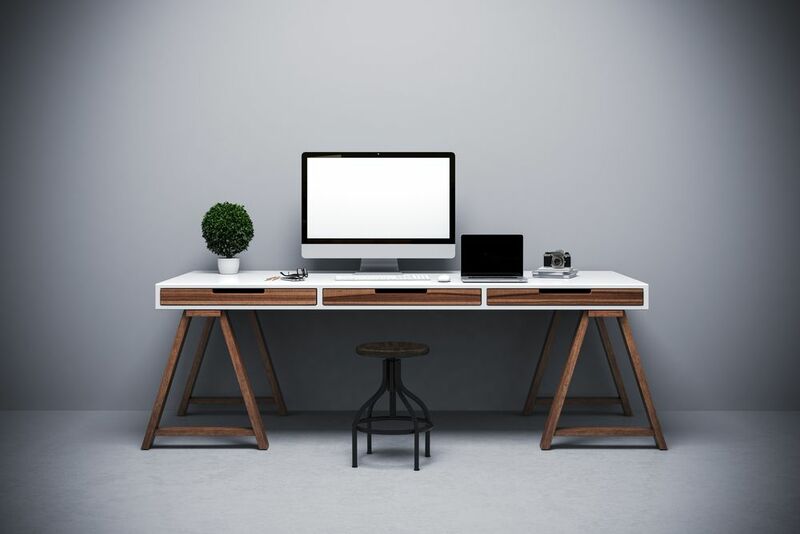 This desk has brown wooden legs and a matte black glass desktop, making it look modern. It also has a minimalist design, with metal support beams, to make it even stronger. This makes the whole desk look like it can go anywhere from a fancy office to your home den. There is so much room on top of the desk that you can put many monitors on it, or have multiple computers on it to do work from. There are no shelves or anything, but there is a lot of room for everything underneath, in case you need to put some storage bins or a filing cabinet nearby. 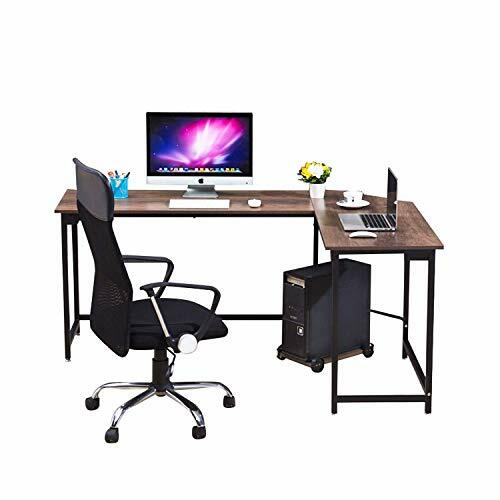 Besides that, this desk also looks more expensive than it is, and it will be able to be used with many different types of chairs, so you can use whatever one you have available. The desk can hold around 100 pounds, so it is heavy duty, and it isn’t hard to keep clean. This desk has an L shape, so it can take up space that isn’t always utilized, such as a corner. This also allows for a lot of surface area, so you can sit all of your computer parts and peripherals on it, and still have room for anything else you need. It has a black metal frame and a dark brown wooden top, so it is simple and attractive in design. There is a small shelf on top of the desk, for you to keep your monitor on, making sure it is out of the way and elevated. Besides that, you can set up the two desks together whatever way you want to make up the L shape. There is also a keyboard shelf that can be pulled out and you can even use it without the corner piece if you want to. There’s plenty of room underneath for more storage, and for you to use any type of chair that you want. 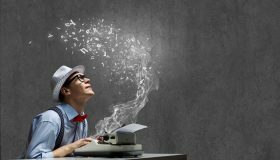 When you think about computer desks, you may not think of them as something you really want to pay a lot of attention to. However, there are so many fun desks that you can check out, which may be able to solve many problems for you. Not only are some desks downright awesome, but others look so cool that people will think that you spent a small fortune on them. 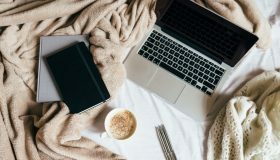 There are desks that are a good fit for virtually any space you have, even if you don’t have a lot of room or need to put something into a corner. Besides that, most models are not hard to put together and will last you a long time. 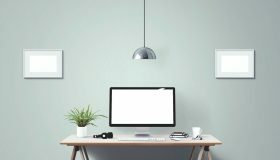 Do yourself a favor and take some time to look at numerous desks before you make a purchase for your home.